Our purpose-built veterinary centre is the newest addition to our family. It provides you and your pet with a bright and spacious environment. 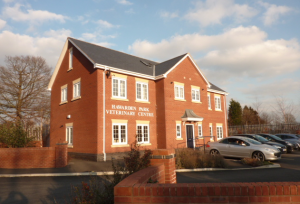 If you’re looking for a bright, modern, spacious veterinary practice then our centre in Hawarden will not disappoint. Our purpose built, state-of-the-art centre has been designed with you in mind and our team promises to make your pet feel relaxed, comfortable and most importantly, happy every time they visit. Our newest centre is the fifth branch of Grange Veterinary Hospital. It was built in 2007 and today boasts plenty of light and space. Despite being our newest centre, we have an array of facilities to diagnose and treat various medical conditions at our Hawarden branch. So no matter what your pet’s requirements, minor or major, make a trip to our centre today and ensure your pet’s health is in tip-top condition. As you probably already know, surgical treatments are completed at Grange Veterinary Hospital. Therefore, should your pet ever require extensive or complicated procedures, you may be invited to our flagship centre.